Closeout Pricing on Menzerna Purple Label Products, plus FREE Shipping Promo! 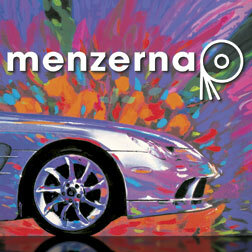 Classic Motoring Accessories is closing out all the original Menzerna products with the "purple" labels. To read more about this and see the items we have available please go to our Menzerna Closeout Page. Take 30% OFF "purple" label Menzerna products. The price on the site is already marked down so you don't have to enter anything to receive the savings. These prices are good while supplies last! How about a shipping special on top of all this? From now thru Sunday, March 27th, 2010, orders of $67.00 or more automatically get FREE UPS Ground**, or FREE USPS Priority Mail** shipping to locations in the 48 continental United States. Past orders, international orders, orders to Alaska or Hawaii, and extractors do not qualify for free shipping. See our site for complete details.